"What the heck happened here? Where's the gorgeous trees?" Our once beautiful oasis of California is starting to appear like a wasteland due to the absence of greenery. There is only one solution to the ecosystems in urban Southern California that are being destroyed in large numbers by the infamous polyphagous beetle who loves to spread disease among Sycamore and Willow trees. Cities and homeowners are dealing with the epidemic by removing trees. The problem can be identified and solved early on with a few simple steps. Identifying your forestry landscaping has a problem is your first step to avoid costly removal charges. If your trees become brittle, fall over, or seem as if they are not getting enough water such as curled leaves it is time for you to be concerned. The more we remove trees the less likely our beautiful state will continue to smell and feel as pleasant as it does today. ("The trees that make Southern California shady and green are dying. Fast", 2017) Most people when they notice their trees are struggling contact the least expensive landscaper to quickly remove them before any further property damage happens. With a few simple steps, costly removal charges or emergency extraction can be avoided. Brittle trees mean there is a problem that may be insect related. The polyphagous shot hole borer beetle leaves tiny holes in the bark of the tree. (Khan, 2014) There will be a powder similar to sawdust surrounding each hole. Stains of sap may also be noticeable. 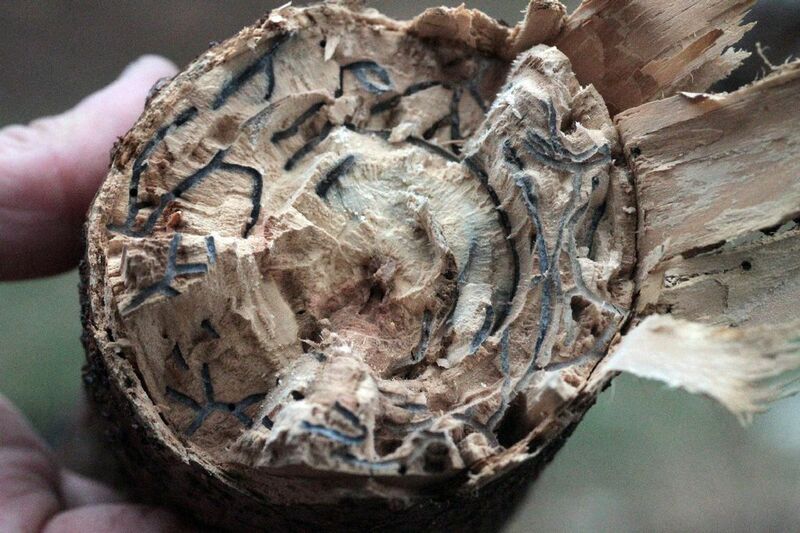 These beetles leave behind bacteria that infects and kills trees. The beetles are moving fast destroying thousands of trees between the Mexican border and Los Angeles ("The trees that make Southern California shady and green are dying. Fast", 2017). Residents are quickly being left with little to no shade due to the need to remove trees that have become dangerous due to brittle dead limbs. The solution is to call in the experts! A professional licensed, bonded, and insured Arborist is able to quickly diagnose your trees illness. At West Coast Tree, we would prefer to save your trees than to cut them down. Yearly examination of your forestry landscaping will ensure the optimal health and pressure the precious shade on your property. If you have exterminated all of your trees on your property it is simple to have them replaced and maintained properly by contacting an Arborist. In the long run, you will save money and the environment by putting the time into the health of your trees. If we all work together California can become beautiful again. It takes effort on all of our parts to ensure that we educate our future generation on the necessity of maintaining the health of our trees. Here at West Coast Tree, we offer a free annual diagnosis. If you have a tree that is so far gone that it must be removed we offer discounts on replacement trees. We are here to answer all of your questions and continue to work hard to save our ecosystem.